Roger, can you tell a bit more about your distillery and the products you want to make? 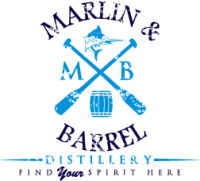 Yes, our distillery is called Marlin & Barrel Distillery and it’s located in historic Fernandina Beach Florida right on Amelia Island. We are building a distillery that will be fully capable to craft a wide array of products. We plan to let our local market help guide the ultimate base of every day and seasonal offerings, but given our location, we expect a line of rums to be a cornerstone of what we do. How did you get interested in distilling? I came from a technical field in a large scale corporate America role. One day I stood up and looked over a sea of office cubes and thought being good at making shareholders money wasn’t enough for me. When I thought about my next step I didn’t want to get (re)involved in a situation that would put me in the same spot X years from now. I bumped into the business of distilling by accident, but when I did, I was hooked. Its infinite complexity and blend of art and science appealed to the part of me that did work in the corporate world, but when I saw that the marketplace (at least in the U.S.) was in this rare and fantastic primordial place I knew I found my next step. I used to look forward to the Friday bell, but now I can’t wait for Monday mornings. How did you go about putting your plans into actions? What courses did you follow? How did you familiarize yourself with the essential procedures for making great drinks? I think I’ve read every post on the popular blogs and message boards and viewed countless youtube videos on distilling as a start point. I have visited a number of micro-distilleries and gone to classes at some of them (Downslope Distilling and Six & Twenty were two good ones I enjoyed at different places in my learning curve). Still, flying to the Netherlands and spending time with Odin was pound for pound the most impactful for my development. I saw right away that the approach Odin took was different than anything else I saw in two fundamental ways. First, Odin has what I call a ‘bottom up’ mindset. That is to say that his way of thinking doesn’t come from shrinking a large-scale idea to fit a micro-business. It’s the opposite as he’s trying to grow up those who have their personalized ideas of recipes or craft practices by offering tools that will allow them to turn that family tradition into a reliable production for a business. Second, I felt like Odin had the wherewithal to throw out the traditional design playbook and after his (re)building effort, delivered a product sharply focused on the micro-distiller. The result is a something that offers all the capabilities you would need that works fast, efficiently, automated and most importantly, does the job right consistently each time. Roger, why did you choose iStill and what distillation equipment will you be running? I will have both an iStripper and an iStill 250 (primary production), and the iStill 50 (testing) all with iCatalysts. These products will allow me to produce the full array of products I am looking forward to offering. As I mentioned, they do everything I need, and once you dial in the parameters you want, I get the best of both worlds with a way to automate my personalized cuts and heads/tails management. Also, we are going to run thin on manpower, so I can’t praise the automation enough. The time savings is important, but really, the best benefit is consistency. The iStill compacts the column so well that I expect the automated process to deliver a consistent output far more reliably than I would get otherwise. I guess at the end of my product search it was more like “why wouldn’t I” go with the iStill. If you were able to see into the future, where will you and your distillery stand in 5 years from now? I hope in 5 years we get to two places; first we are past the initial product barrel ageing process and second we build more capabilities around the actual distillation process. Our business concept isn’t primarily about making alcohol. It’s more related to being a conduit for others to find and enjoy spirits. We hope that we’re well on our way to listening and aligning with our community to craft what carries them along their path. If that means we get deeper in sourcing our product or making a specialty spirit or something else we want to always allow ourselves to be pushed and be responsive. Five years from now we should have more capabilities that are aligned to the voice of our constituents.